A graduate of Goddard College and National College of Naturopathic Medicine, Christine Girard has spent her professional career working in government and nonprofits. She has explored many aspects of medicine, including family practice, integrative oncology, research, teaching, and administration. Her career is focused on hospital-based, integrative medicine, and medical education. 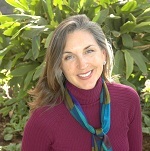 She is executive vice president of Southwest College of Naturopathic Medicine. Girard’s objective is to be an authentic and effective leader, serving the College’s growing community. Her Piper Fellowship centered on studying change management and authentic leadership at the ALIA Leadership Institute and servant leadership at the University of Virginia Darden School of Business. She also participated in mindfulness training at the University of Massachusetts Center for Mindfulness in Medicine, Healthcare, and Society and at the Zen Mountain Monastery. Terry Hines began work at the Child Crisis Center in 1985 and currently serves as its chief operating officer. While working toward her undergraduate degree, she was assigned to the Center to gain practical experience—this initial placement became her employer for years to come. 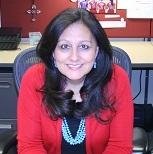 Hines earned a bachelor’s degree in social work from Arizona State University and her master’s degree in organizational management from University of Phoenix. Hines’ Piper Fellowship was designed to further develop and expand her skills and proficiency as she took on a leadership role to develop a new strategic plan for the Child Crisis Center. She attended several leadership development seminars including one at the Disney Institute and participated in training hosted by the Center for Creative Leadership. In addition, Hines visited key nonprofit sites and learned more about approaches to service delivery and planning for the future. Doug Hirano grew up in San Jose, California and attended UC Irvine and UCLA, where he earned a master’s degree in public health. After working for almost 20 years with the Centers for Disease Control and Prevention and the Arizona Department of Health Services, he joined Mountain Park Health Center as a grant writer. There he partnered with individuals who were nurturing a new nonprofit focused on Asian American and Pacific Islander health. Two years later he became Executive Director of that agency, known as the Asian Pacific Community in Action. To better understand the context of the lives of the people that Asian Pacific Community in Action serve, Hirano was an international health volunteer in Cambodia—the centerpiece of his fellowship. He was interested in becoming a more visionary nonprofit leader and attended the Stanford University School of Business’ Executive Program for NonProfit Leaders. Hirano also visited high-performing Asian Pacific Islander health organizations in Oregon and Ohio. In 1985 David Noble applied his experience in radio, advertising, marketing, and public relations to reading services on the radio. In 2001 he moved from Pittsburgh to Phoenix and joined Sun Sounds of Arizona where he currently manages fundraising, marketing, and outreach. Throughout his career, David has helped facilitate information access services for people with reading disabilities and volunteered as a lobbyist working on issues related to broadcasting and blindness. Noble received the Radio Reading Service Association’s Lifetime Achievement Award. Noble’s Piper Fellowship included shadowing manufacturing executives through a product development cycle. He gained firsthand experience about how new business ventures are created in the private sector. He applied this knowledge to Sun Sounds and created a business plan for consulting about the interface between consumer electronics and the needs of people with disabilities. Sun Sounds plans to offer consulting services as both a revenue generator for the organization and as a vehicle to help create more disabled-accessible products in the marketplace.